Earlier this week it was announced that Ciara would indeed be unveiling a actual music video to go along with her current single "I Bet". Late last month she begun the production of the visual in New York City & was joined by fashion designer Italo Zucchelli. Since the tracks release it has been recognized as one of Cici's most truth & honest songs with a message that many of her fans can relate too. After revealing photos from the videos set the Georgia peach has finally revealed when the video will be released for the worlds viewing pleasure. 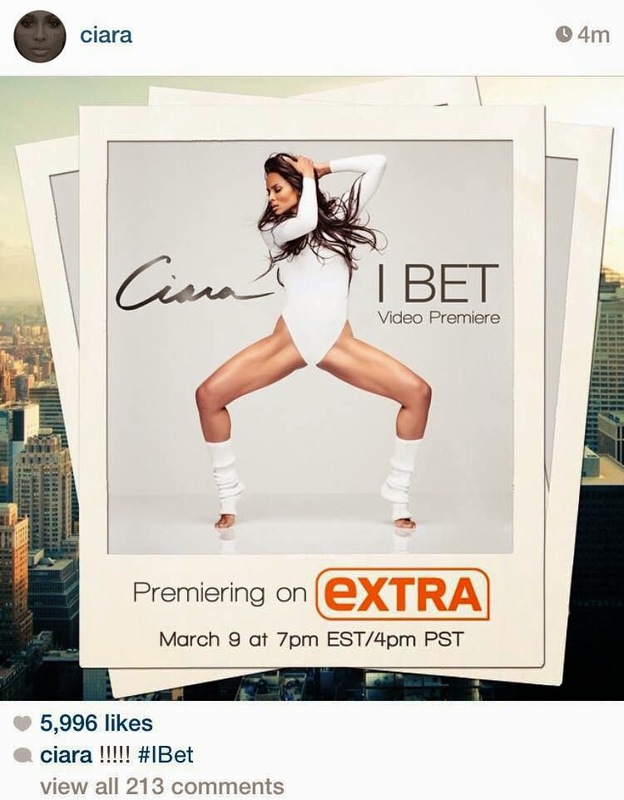 Taking to her instagram she let the C-Squad know that on Monday, March 9th the "I Bet" video would premiere on EXTRA at 7pm est. & 4pm pst. You can check peep a few photos from the set of the video while you wait for it's release HERE.